Whistleblower Cases - Oberheiden, P.C. If you work in the medical industry, chances are you’ve at least heard about health care fraud and the widespread takedowns that are targeting doctors and health care businesses across the country. Sadly, health care fraud is a reality. It happens, and a lot of people in the medical field have made a lot of money through fraudulent billings or other illegal practices. Ultimately, though, the perpetrators are usually caught — often because an employee like you bears witness to the fraud and then steps forward to blow the whistle. If you’ve witnessed behavior you suspect of being fraudulent, there is a lot you need to know about your rights and duties under the law. State and federal statutes provide robust protections for health care whistleblowers. But it’s also possible for you to get into legal trouble yourself if you know about fraud, don’t report it, and then become complicit in it. Some of the most common cases involve schemes as simple as overcharging CMS, using the wrong codes when invoicing, providing medically unnecessary services, or offering / accepting kickbacks for referrals. At Oberheiden, P.C., we help whistleblowers navigate these complex legal issues in a way that protects their legal interests and positions them for the best possible outcome. We have extensive experience specifically in health care fraud law, and we are dedicated to helping those who want to do the right thing. Sometimes, it can be difficult to know whether you’ve witnessed fraud or not. You don’t need to become an expert in the particularities of health care fraud law to blow the whistle. But you do want to make sure you have actually witnessed some evidence of wrongdoing before you move forward with an allegation. Health care fraud is a serious matter, and even though the law protects whistleblowers, you still want to take a deep breath and be sure of your suspicions before taking the next step. The more documentation you can get your hands on — the better. It’s especially helpful if you document the wrongdoing before the perpetrators know you’ve identified their wrongdoing. This way, they won’t have an opportunity to cover their tracks. Documentation also protects you against retaliation, and it can prove very useful if you need to initiate whistleblower litigation to defend your own rights down the road. If possible, it’s wise to set up a private conference with a superior in the company. Talking to anyone can help, but it’s best to talk with someone who has authority over the person engaging in fraud. Be prepared for skepticism. Corporate officers don’t like to rock the boat, and the allegations may implicate some of the key players in the business. It’s easier for the superior to downplay or dismiss your allegations — but that doesn’t make it ethical or lawful. Bring copies of all your relevant documents to the meeting, but keep the originals in safe keeping. In some cases, the fraud might be so far-reaching within the company that it doesn’t make sense for you to report it internally, or you may fear that doing so puts you at risk. In those cases, you may want to move on directly to steps 4 and 5. If you can’t bring your concerns to a superior within the company, or if you do but your complaints don’t go anywhere, you might need to resign from your current position. Staying on the job after making a fraud report that gets ignored can put you in danger of retaliation (even though such retaliation is unlawful). And if you choose to stay in the company and assist with Medicare billing or any other activity that you now know to be fraudulent, you could be guilty of committing a crime yourself. Federal law enforcement agents do go after non-executive employees who play only a small part in perpetuating health care fraud. You can report claims anonymously. Your employer cannot legally fire you (or take any retaliation against you) in response to you blowing the whistle. If you are an original source of information about health care or Medicare fraud, you might be able to file a qui tam lawsuit on the government’s behalf, in which you would be entitled to personally retain a portion of the government’s total recovery (usually 15 to 25 percent). This may amount to a very large amount of money for you personally. These lawsuits are initially filed under seal. If you believe your company (or one or more individuals within your company) is committing Medicare fraud or any other kind of health care fraud, you are strongly advised to talk with an attorney as soon as possible to protect yourself from liability. 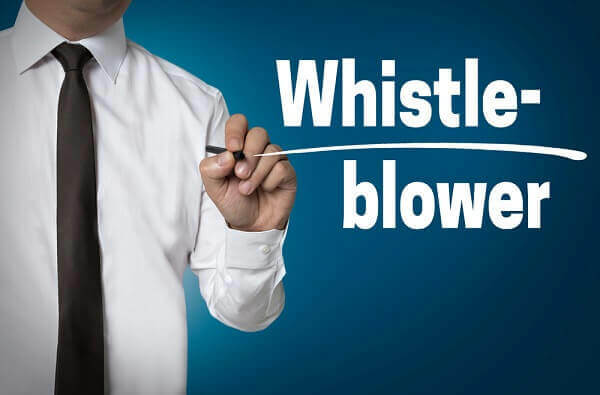 At Oberheiden P.C., our attorneys are experienced in representing whistleblowers in False Claims Act cases and in advising those who have become aware of illegal activity at their workplace. All initial consultations are free and confidential. Dr. Nick Oberheiden has successfully represented clients in federal proceedings across the United States. He dedicates a large portion of his practice to whistleblower cases and False Claims Act investigations. Dr. Oberheiden has taught U.S. Constitutional Law and U.S. Criminal Law across continents, and has been served as an expert on U.S. law by foreign courts. Lynette S. Byrd is a former Assistant United States Attorney (AUSA) who previously served as federal prosecutor on behalf of the Department of Justice. Ms. Byrd has appeared in trials on behalf of the United States and now represents clients in civil or criminal courts across the country, bringing to the table her wealth of experience as a former federal prosecutor and passionate trial attorney. Elizabeth K. Stepp is a Yale Law School graduate with over 20 years of courtroom experience, including in False Claims Act cases. Ms. Stepp offers clients the preparation, courtroom dominance, and experience necessary to persuade judges and juries in state and federal litigation matters. This information has been prepared for informational purposes only and does not constitute legal advice. This information may constitute attorney advertising in some jurisdictions. Merely reading this information does not create an attorney-client relationship. Prior results do not guarantee a similar outcome for any matter in the future. Oberheiden, P.C. is a Texas firm with its headquarters in Dallas. Mr. Oberheiden limits his practice to federal law. Medicare Whistleblower Defense Law Attorneys – Oberheiden, P.C.